Aqua Vie Beverage Corporation (AQVB), announced today that it has entered into an exclusive agreement with SaddleSprings Beverage Company, the largest independent provider of stand up beverage pouches in the U.S.A., to develop and market a “clear” stand up pouch for Aqua Vie’s new line of flavored and pure spring water beverages for children, called PurePlay(TM). “We want consumers to be able to see Aqua Vie’s innovative products, in creative packaging. The new “clear” pouch technology offers many advantages over bottles. It is compact, fits easily into lunchboxes and small hands, has a drinking straw attached and is more environmentally friendly,” said Aqua Vie President and CEO, Tom Gillespie. SaddleSprings has provided stand up pouches to the single serve beverage market, and proprietary systems for high speed pouch filling for numerous multi national brands since 1998. For additional information on SaddleSprings, visit the company’s website at www.saddlesprings.com. Aqua Vie Beverage Corporation develops and markets low calorie, lightly flavored, spring water beverages that are bacteria-free and contain no preservatives. 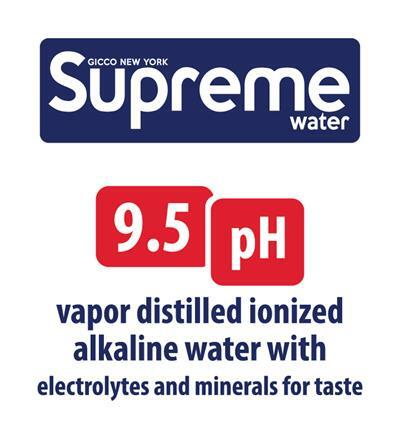 Aqua Vie markets the Hydrator(TM) line of flavored spring water throughout the United States. This beverage line is comprised of seven water flavors, and is designed to increase adults’ and children’s consumption of water, naturally. Other Aqua Vie trademarks include PurePlay(TM) and Eau Vin(TM). For further information about Aqua Vie Beverage Corporation, visit the company’s Web site at www.aquavie.com. NOTE: Statements contained in this news release not strictly historical are forward-looking within the meaning of the safe harbor clause of the Private Securities Litigation Reform Act of 1995. These include statements that we believe SaddleSprings is the largest independent provider of standup pouches in the U.S.A. The company makes these statements based on information available to it as of the date of this news release and assumes no responsibility to update or revise such forward-looking statements. Editors and investors are cautioned that forward-looking statements invoke risk and uncertainties that may cause the company’s actual results to differ materially from such forward-looking statements. These risks and uncertainties include, without limitation, demand for the company’s product, the company’s ability to continue to develop its market, general economic conditions, and other risk factors set forth in the company’s periodic filings.